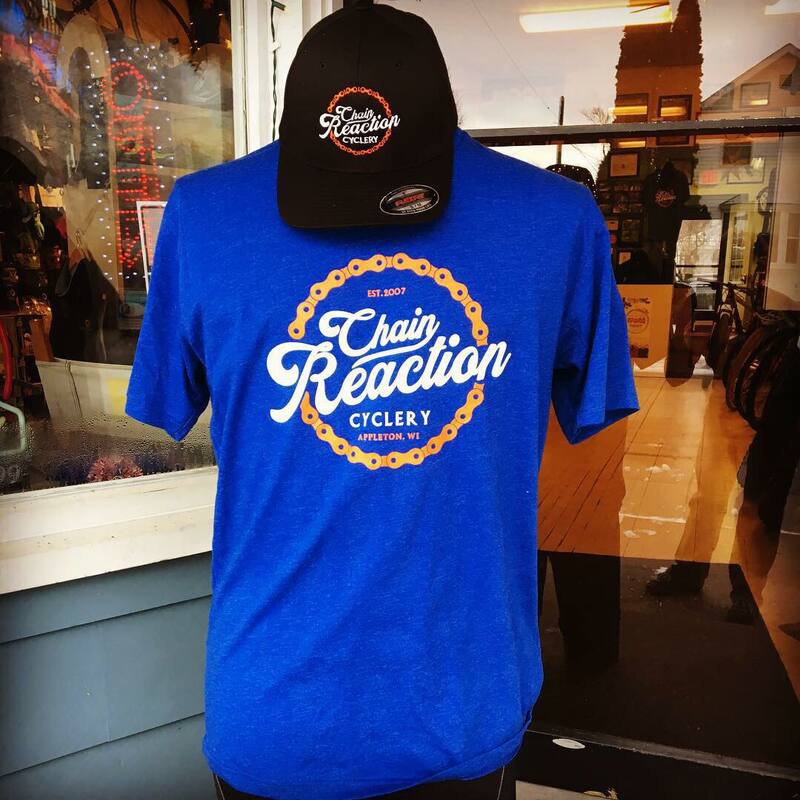 Chain Reaction Cyclery deals in bicycle sales, bicycle repair, bikes wheels, clothing, accessories, snowshoes and is located at Appleton, Fox Valley. Welcome to Chain Reaction Cyclery! 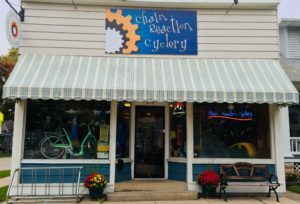 Located in Appleton, at 818 N. Superior St., and serving the Fox Valley, we’re dedicated to providing the best in bicycle sales and detailed bicycle repair. 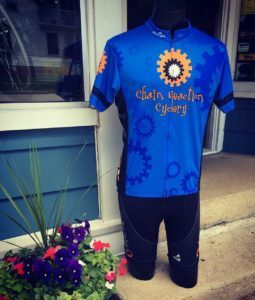 We offer a wide range of bikes, wheels, clothing, accessories, and snowshoes. Niki has over 20 years of bike experience. 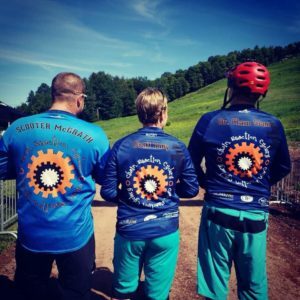 We love riding bikes and equipping others to do the same. 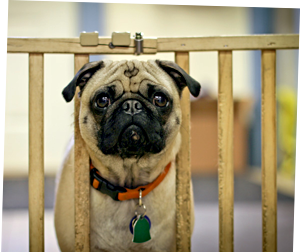 We take great pride in knowing most customers on a first-name basis, and look forward to getting to know you, too. 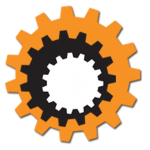 Stop by the shop, or give us a call to learn more! 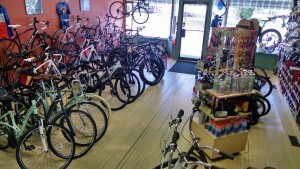 We sell new bicycles from Fuji, Biria, Breezer & Rocky Mountain. 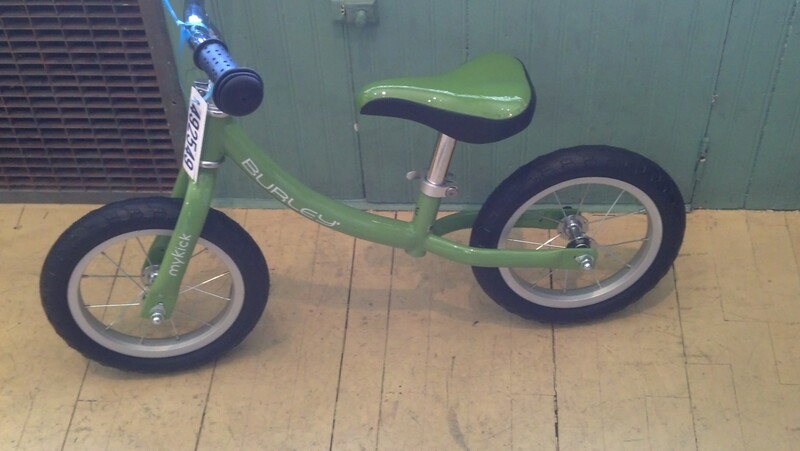 We sell Burley child trailers, along with Burley My Kick balance bikes. We’re doing that social media thing. 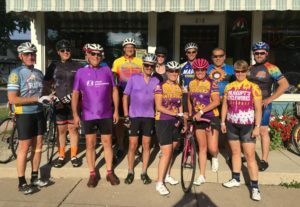 We also participate in Bike Benefits, along with Bike Bingo in the Fox Valley! 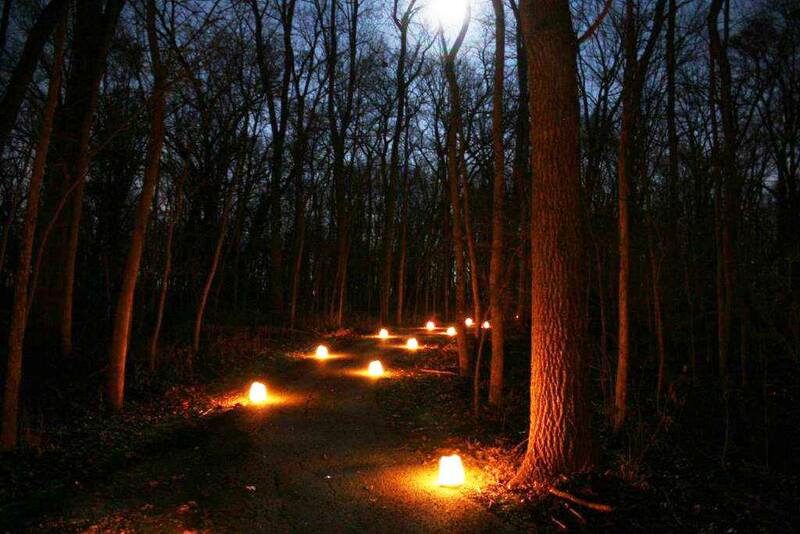 Candlelight & Moonlit Snowshoe Hikes!! 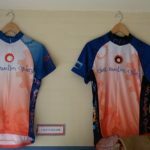 Check out our Candlelight & Moonlit Snoeshoe, Ski & Hike Events page! 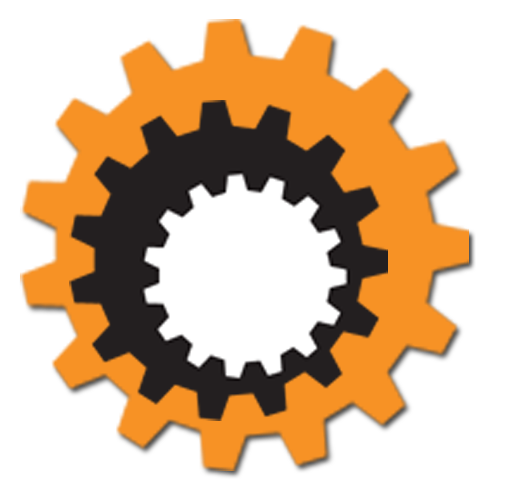 We constantly update this page, so check back often! 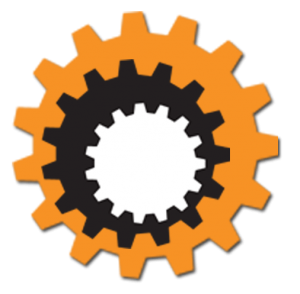 Please click on the link before to check out our events calendar! 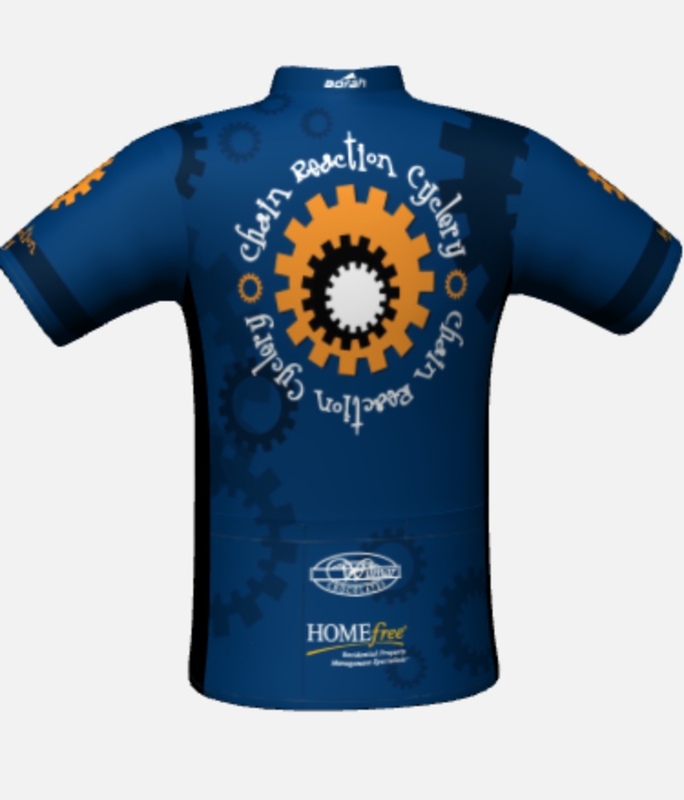 Chain Reaction Cyclery's Thursday Night Snowshoe Hike at High Cliff State Park!! Our Thursday night snowshoe hikes are concluding February 28th for the season! We'd like to thank everyone who came out and joined us! We look forward to starting these back up next November/December, or whenever we get snow. U S E D & N O S P A G E ! ! ! 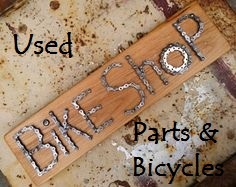 Check out our new page of "Used bicycles, parts, and new old stock!" D E M O W H E E L S A L E O N N O W ! ! ! 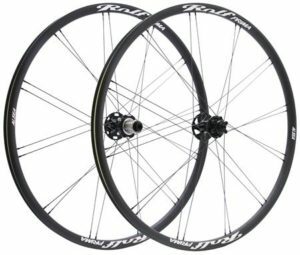 DEMO SALE ON ROLF WHEELS!!! 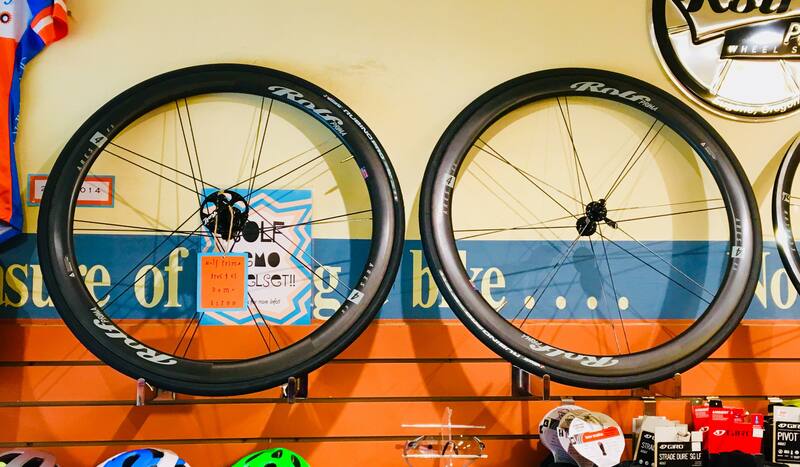 It's that time of year again, our demo wheels are up for sale! 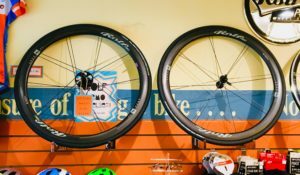 This time it's a pair of carbon Ares 4, including the tires, and carbon specific brakepads!! 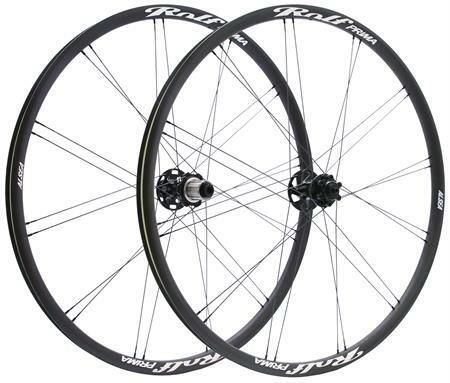 The Area weigh in at a slight 1495g, have a 42mm rim depth, and 19.5 internal width, 16/20 spoke count. Fast? You bet! These were priced at a very respective $1700, but have since dropped to $1300!!! 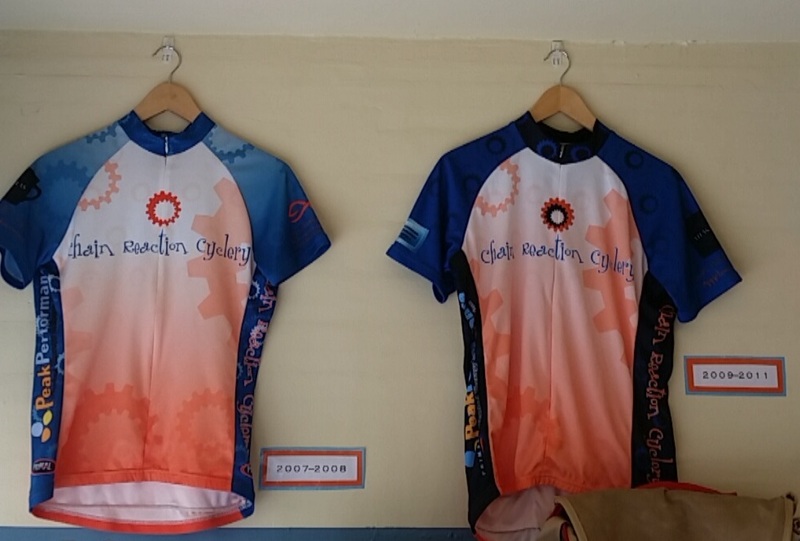 We're selling our demo pair of carbon 29" Rolf Alseas!! These wheels were used for the half of a season, and weigh in feather light at 1435g for the pair! 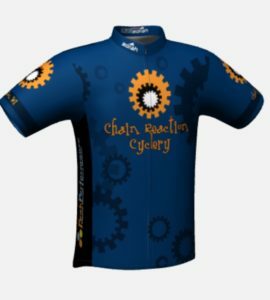 So if you were looking for a wheels to upgrade your bike for the 2017 season, seriously look no further and stop by! Retail $2300, demo price $1550. 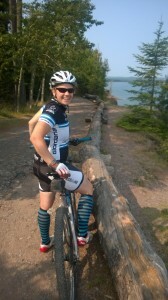 The Alsea's are light enough for cross country use, but strong enough for all mountain use as well. 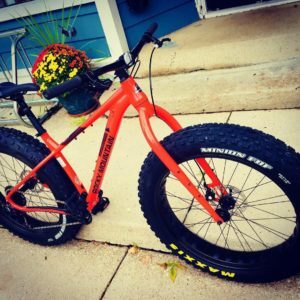 The perfect light weight all around, go anywhere wheel set! Still not sure? We have them on sale for $85 from $120!!! 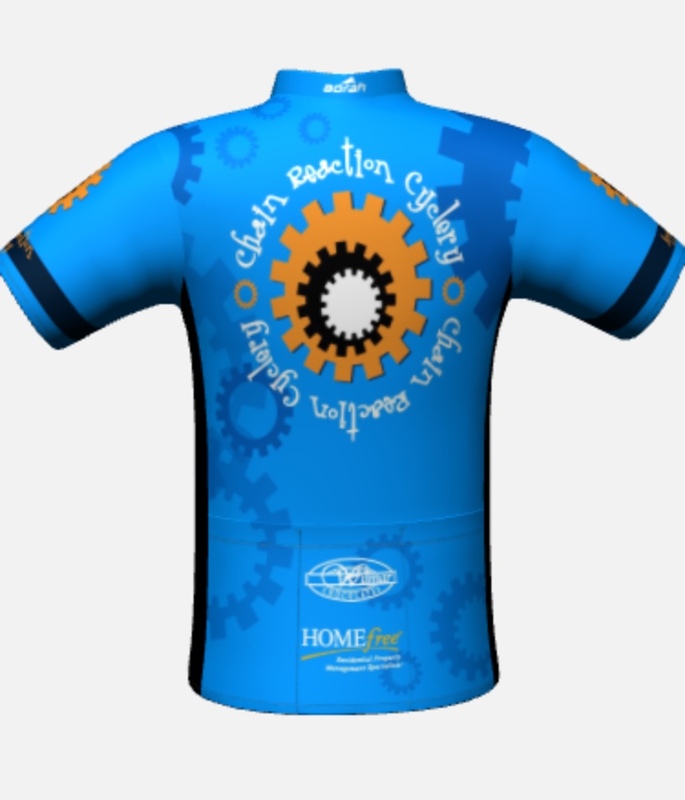 You might be stinky after your ride, this jersey won't be. 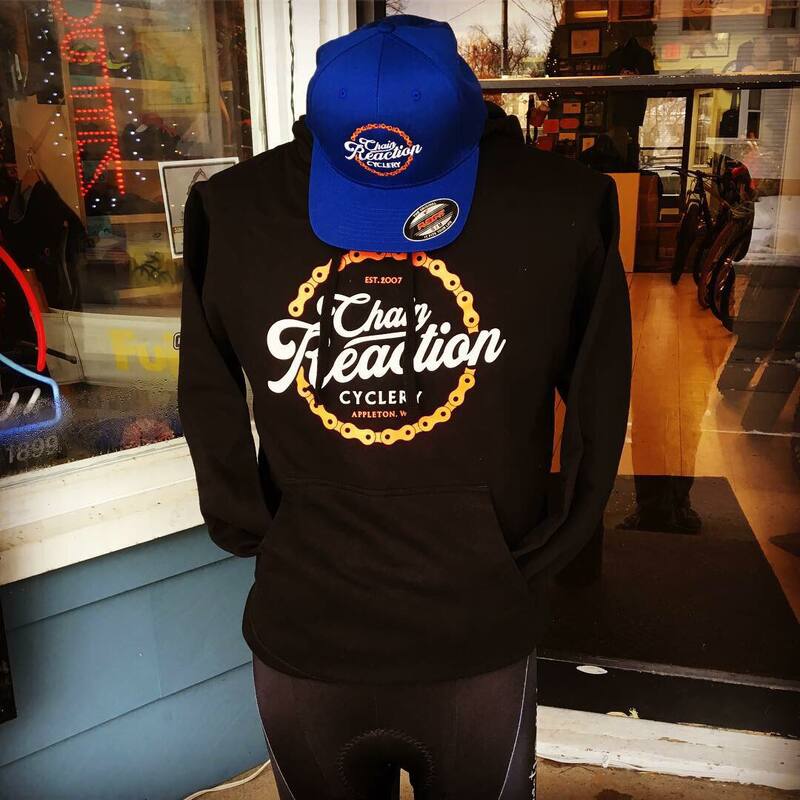 Chain Reaction has new t-shirts, sweatshirts & hats!! 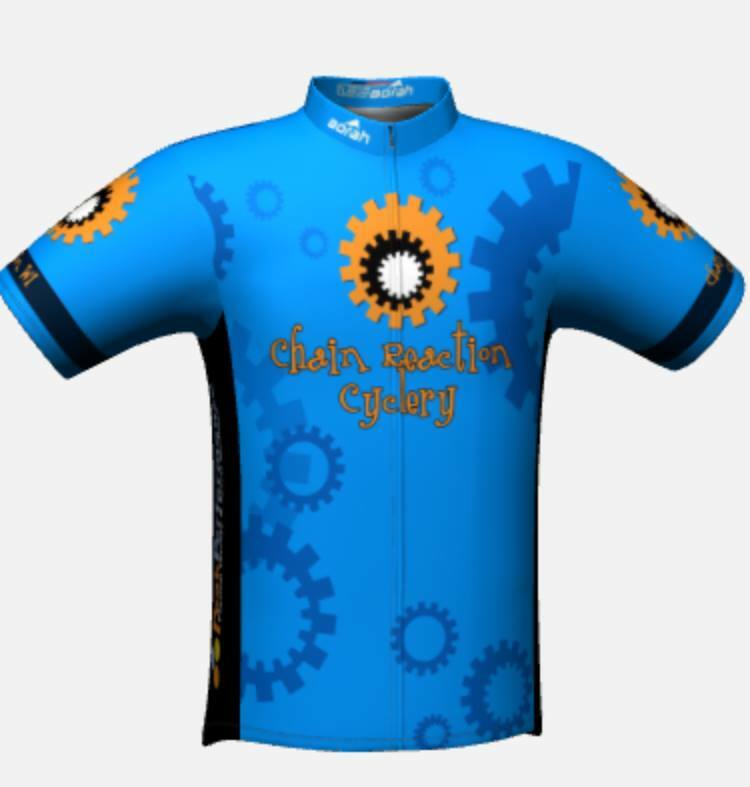 It's been a few years since we've had new shop clothing, and we're excited how these new designs have turned out! 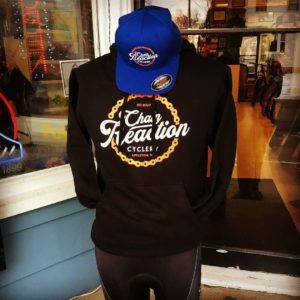 T-shirts and sweatshirts are know available in both black and royal blue. We also received some embroidered flex fit baseball hats. New Arrivals: Lake & Exustar winter cycling boots! Just in time for our cold Wisconsin winter! Keep those toes warm during all those winter miles in a pair of Lake or Exustar winter boots. 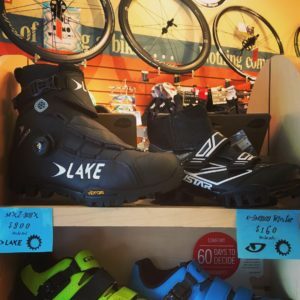 These boots can be used with platform or clipless pedals. Swing in soon to try on a pair, see what all the buzz is about. 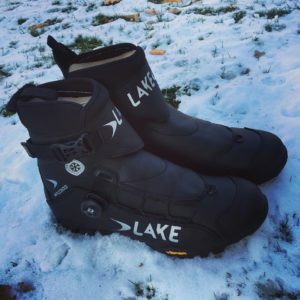 TSL Snowshoes are back for the season! 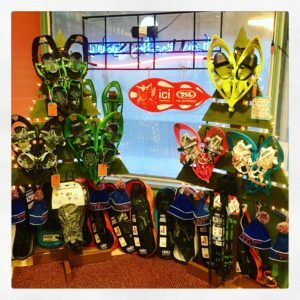 TSL snowshoes are back at Chain Reaction this winter. We have both adult and youth snowshoes in stock, along with gaiters and hiking poles. We'd love to help you with choosing the right pair that fits your needs and next winter adventure. Don't forget gaiters and hiking poles...we carry those too. Make sure to check out our snowshoe page for a listing of local winter moon and candlelight hikes! J e r s e y s ! ! ! ! Mt. 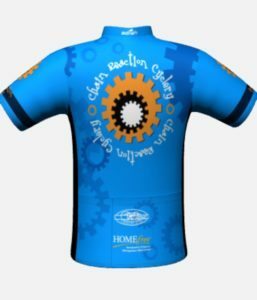 Borah pulled out all the stops with this years new shop jerseys, and we're pretty excited with how they look. These will be available in both royal blue, and dark blue, mens & ladies sizing, club cut, with a full zip. 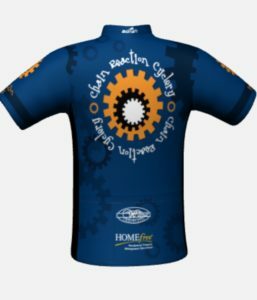 We'd like to thank Peak Performance, Wilmar's Chocolates, and Home Free for their jersey sponsorship!!! OLDER MODEL JERSEYS, SHORTS, AND BIBS ON SALE!!!! Any in-stock Primal apparel has huge markdowns from our original prices. 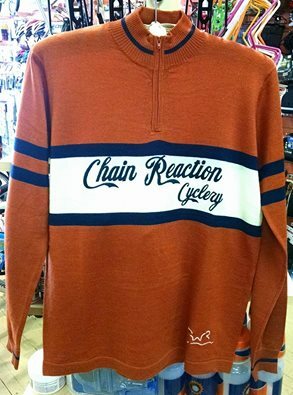 Now is a great time to get some riding apparel!